As predicted yesterday, ice-out on Lake Wicwas occurred this morning, April 20th. At this time, Stress Free can make all of its ports of call, though it may have to make a small maneuver around one last finger of ice near the boat landing. 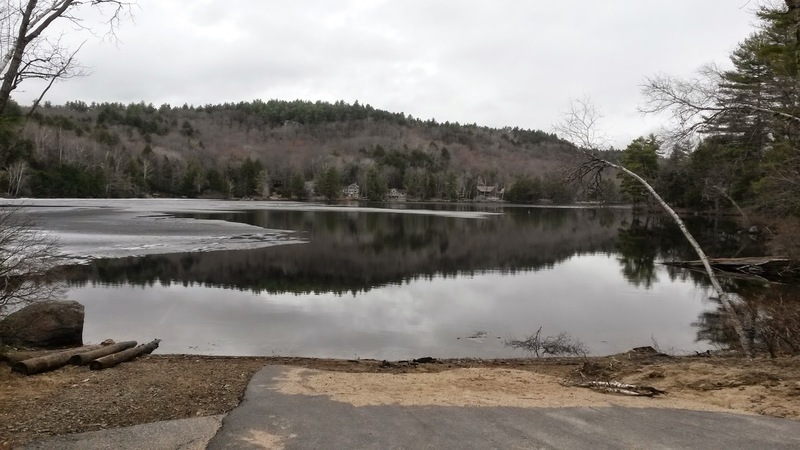 The past two weeks provided ideal conditions to melt away what had appeared to be an impenetrable layer of ice just two weeks ago - almost two feet thick. But sunny days and temperatures in the 60s worked their magic. Here is a sequence of pictures showing the process over the past two weeks in one area of the lake.